This week Poznań will welcome Polish and international upcoming music stars, during the 4th edition of Spring Break Festival. There will be a Scandinavian touch to the event as well! Spring Break Festival is for Poland what Reeperbahn Festival is for Germany – a showcase event gathering all music lovers and music industry people to present the new trends and upcoming artists. 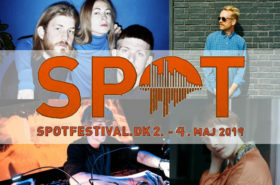 Mostly focused on presenting Polish artists, last year Spring Break Festival decided to mix it a little bit and invited international acts to play as well (among them – Ida Wenøe and Sherpa, who performed under the wings of Good because Danish). Foreign musicians got a great opportunity to get familiar with Polish music industry and the audience. The experiment of mixing Polish and international music went well and this year it continues. With a special event dedicated to Scandinavian artists. We will be able to listen to a great selection of Scandinavian rising stars during the Ja Ja Ja showcase and Good because Danish cannot be more thrilled to invite you to check out this particular event during the festival! Sekuoia will be representing Denmark at the showcase and we hope that many of you catch this particular concert! A few days before the Spring Break Festival begins, we had a chat with Tomek Waśko – one of the organizers of the event – about Polish music scene, the festival and why do Scandinavian musicians should look at Poland with interest. Read the interview below and see you in Poznań starting Thursday, 20. April 2017! 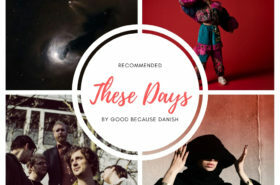 Good because Danish: Promoting young promising artists is a brilliant and noble idea, where did the idea for Spring Break Festival and its format come from? Tomek Waśko: We’re not claiming that we have discovered some secret formula that no one had thought of before. We’ve been attending showcase festivals all over Europe (Eurosonic, Reeperbahn, The Great Escape) and we decided that it’s time for a similar festival in Poland. In recent years, more and more ambitious music is emerging in Poland, which without the complexes starts to attract fans from outside the country. What do you think about the changes that are clearly visible on the Polish music scene? In which direction do you think Polish music is going? I think that there’s always been good music here, but now it’s a good moment for more ambitious music – even industry awards (Fryderyki) recognizes more ambitious projects. And with Spring Break being a good platform for emerging acts we are now more ready to present this music to the audience. Scandinavian music has not left Spring Break recently. 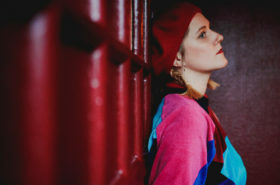 Another year in a row can be presented to a Danish artist at this year’s Ja Ja Ja Music showcase with Sekuoia in the line-up. Is mixing Polish and abroad music a proven recipe for organizational success? We still want Polish music to be the core of Enea Spring Break’s line-up, but it’s nice to add a little bit of international flavor to make the line-up more exciting and eclectic. What do you think Polish music market has to offer to the foreign (especially Scandinavian) artists? How important is the role of events like Spring Break Festival in opening the doors of Poland to foreign bands? 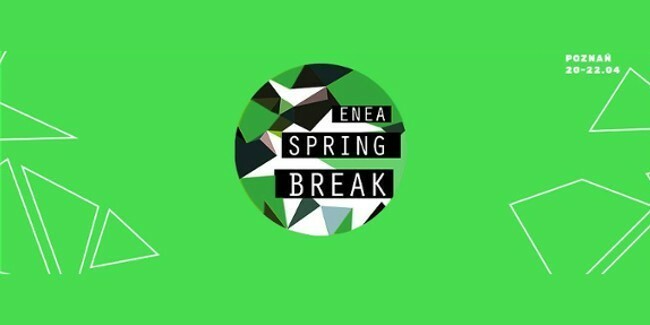 Enea Spring Break attracts a lot of industry delegates from labels, festivals and concert agencies. So if you are a member of a young band it’s a platform that is a good start to showcase your music to important people of Polish music industry. If you had to describe Spring Break Festival in one sentence, what would that sentence be? Spring Break, the biggest Polish showcase festival, a perfect place to start your career in Poland.